I watched Boyhood the other day. You might have heard about this movie, created over 12 years by Director Richard Linklater. It recently won a Golden Globe for Best Picture, Drama and is up for several Academy Awards. Don’t worry, no spoilers in this post. Just in case you want to see it. And I do recommend that you watch the movie. As this is a photography blog, most everything I post is somehow related to photography. If you watch the movie, this connection will be obvious. But for me, it goes beyond that, which makes this a particularly interesting film. I’m not a film critic so I won’t go much into it. All I’ll say is, unlike typical Hollywood movies, Boyhood is authentic. Perhaps a bit more drama than a typical family but totally believable. You get to follow a family, especially the son, over 12 years, filmed in real-time. This may be the first time this has ever been done. The movie was shot in and around Austin and I recognize may of the places, which is always fun. But it’s more than that. As a father of two boys 15 and 11, I see them growing so fast. Not quite as fast as in the movie but close enough for discomfort. I have my own Boyhood moments when I look at photos of my kids that I took years ago. They seem like just yesterday. There are other enjoyable connections too. 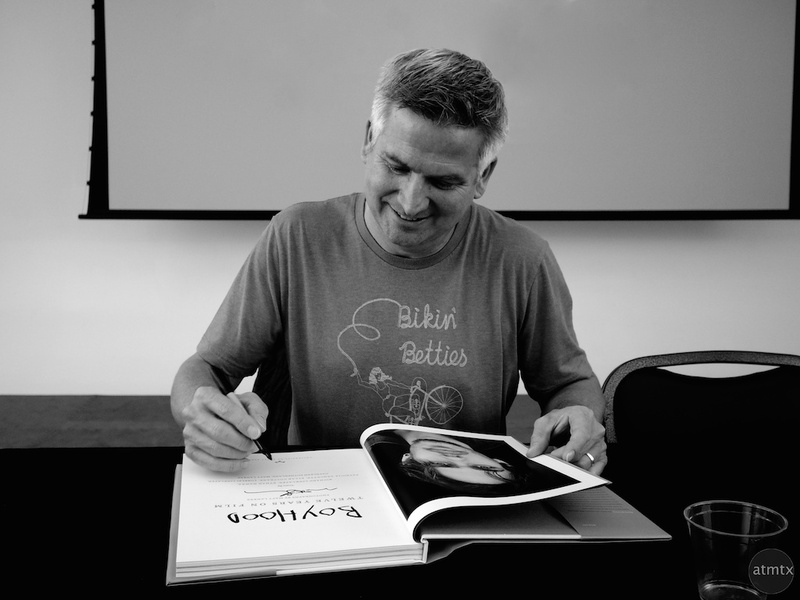 Late last year, I was in Precision Camera and stumbled on a book signing. 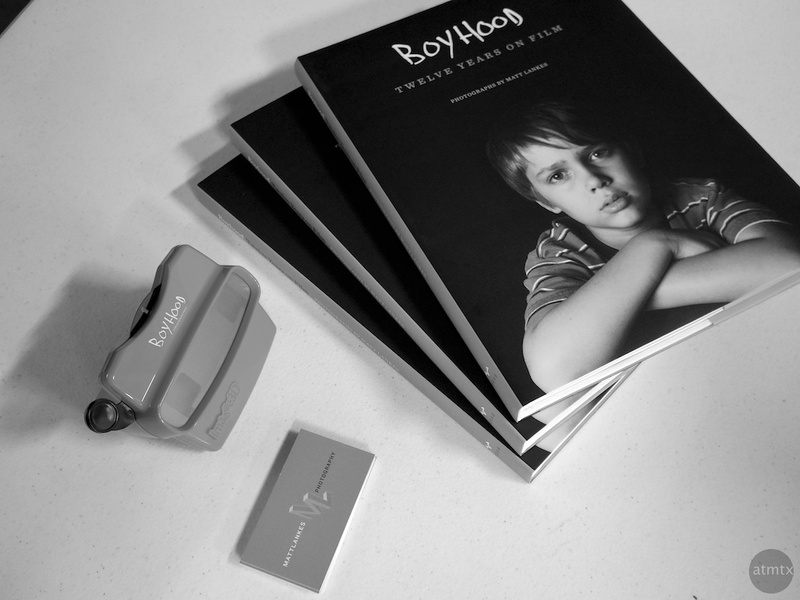 Local photographer Matt Lankes, who got to document the movie over the 12 years, created a wonderful portrait and behind the scenes book on Boyhood. Then two weeks ago, at our monthly Austin Photographic Society meeting, Matt gave a talk on his photography and the movie. We found out they filmed their final scene in Big Bend. 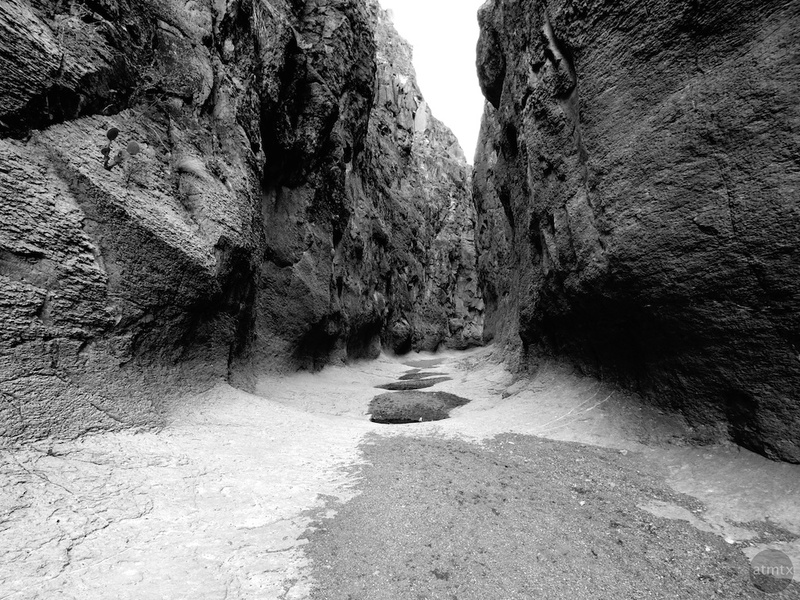 Yet another connection, which we explored when we visited Closed Canyon in Big Bend Ranch State Park, last week. You might recognize this photo, if you watch the movie. A neat place for sure and it was one of the highlights or our trip out west. So a big thumbs up for the movie unless you want to see car chases, explosions, zombies or a dystopian future Earth. Boyhood doesn’t fit the typical Hollywood mold and that’s what makes it all the more special. Oh and pickup Matt’s book too. ← The Big Bend Report: What was it like shooting with 5 cameras, actually 6?